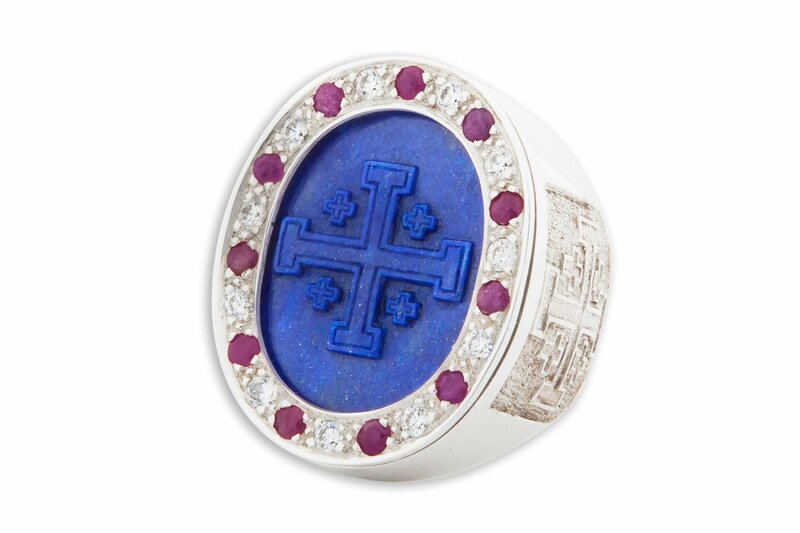 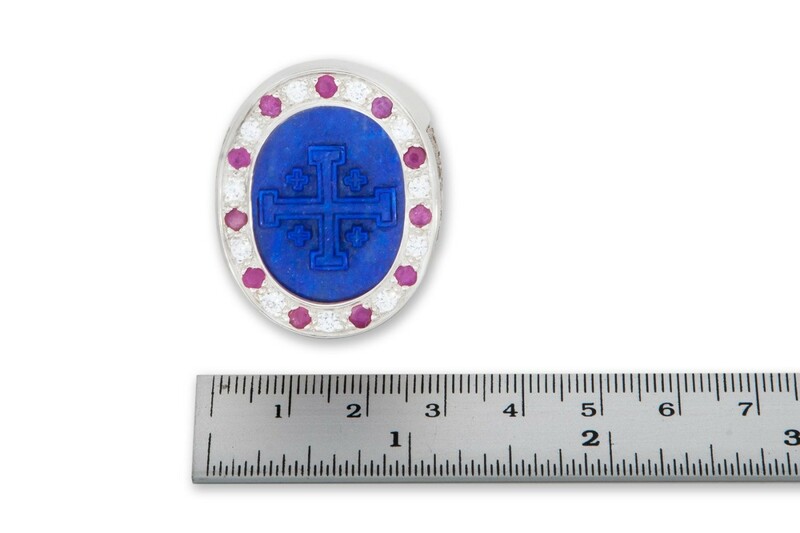 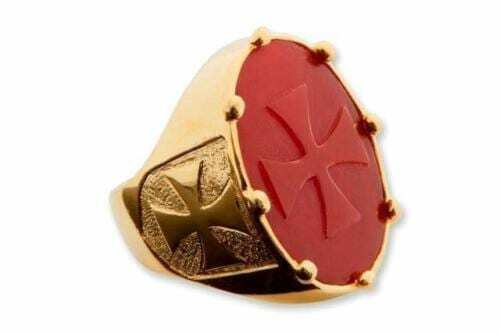 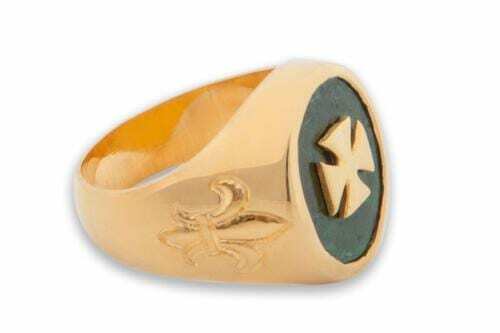 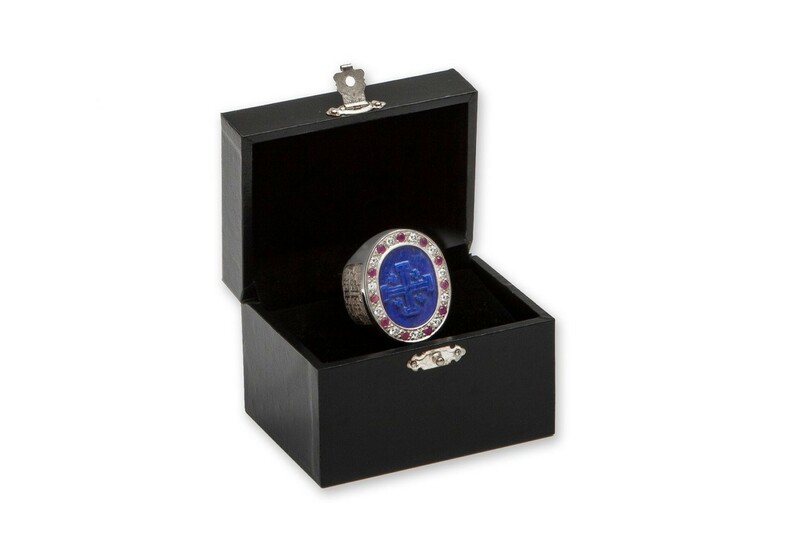 MASSIVE JERUSALEM CROSS RING Lapis Stone With Gems inset rubies and Zircons. 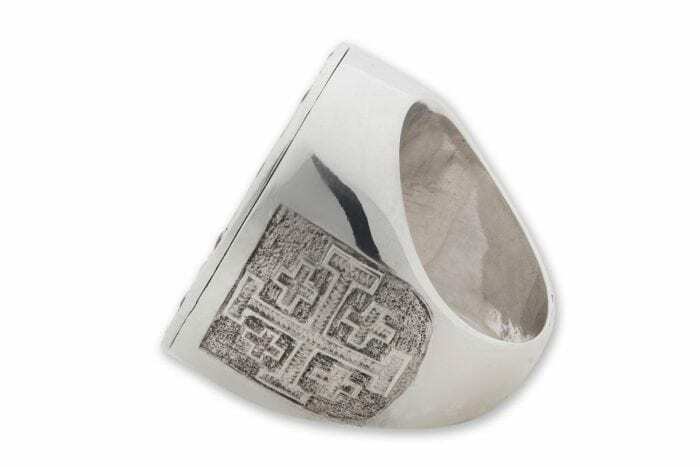 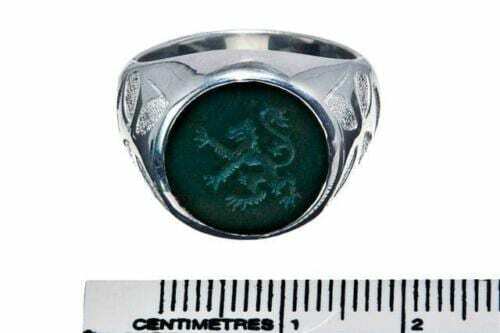 Please note–we can make this ring in Lapis, black onyx, jade, red agate and other mineral stones…We can offer variations for the faceted gemstones etc. Ring Face Measures 35 x 28 mm (1 3/8 x 1 1/8 inch). 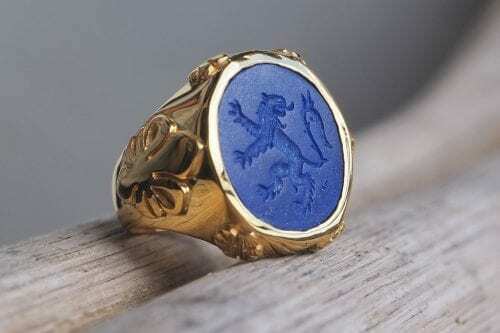 A large Heraldic ring.